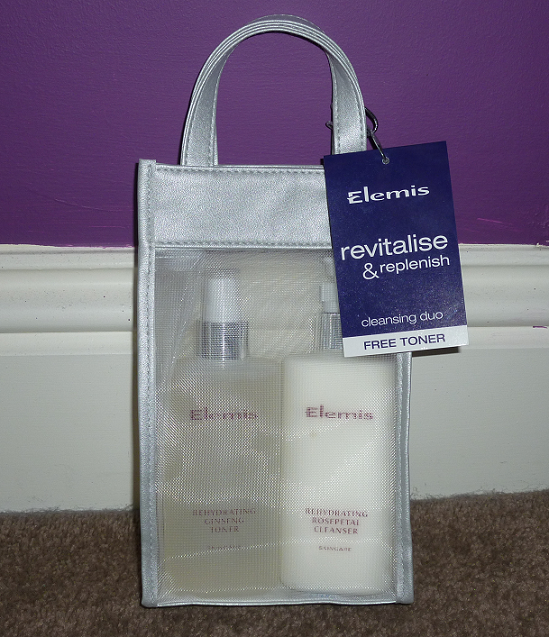 My favourite toners are the Elemis ones. I've only tried the Apricot and the Ginseng ones but they are fab as they smell nice and they don't contain alcohol so they are gentle on the skin. I like the way they come in a spray bottle so you can spray directly on to the face or on to a cotton pad. I decided to treat myself to a new bottle and I spotted some great cleansing duos in John Lewis. Basically there are three different packs where you pay the price of a cleanser and get a free toner. I've provided the links for John Lewis. At the time of posting they stated out of stock but I think this is because they are new and should come in stock soon. They had loads in store though. 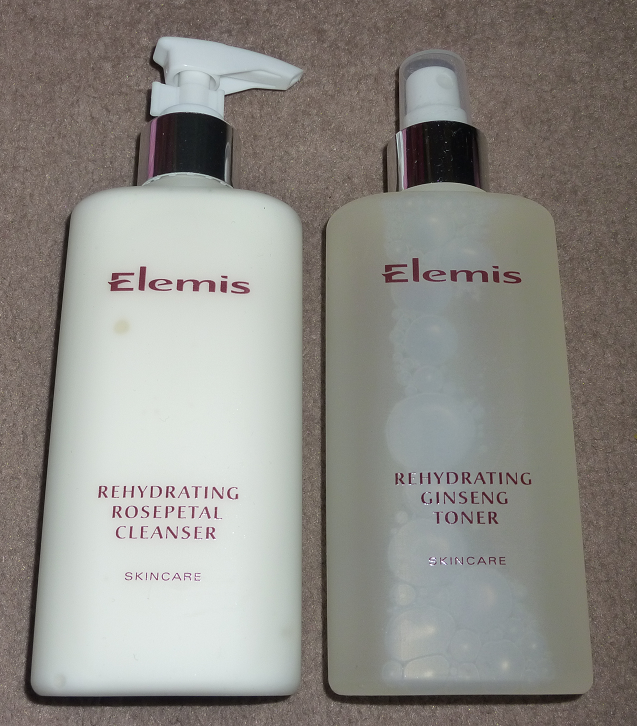 I chose the Revitalise & Replenish duo which consists of the Rehydrating Rosepetal Cleanser and Ginseng Toner. The Apricot toner is actually my favourite but I preferred the hydrating cleanser option. I haven't tried these pump style cleansers from Elemis before, I've only tried the cream cleanser and melting gel cleanser so it's great that I'm getting a free full size cleanser when I was going to pay full price for the toner anyway. The Rehydrating Rosepetal Cleanser contains Lecithin, Vitamin E and F with Rosepetal Flower Water to hydrate and purify the skin. The Rehydrating Ginseng Toner contains extracts of Korean Ginseng, Quillaja Wood and Sweet Betty Flower to revitalise and moisturise the skin. These products are both designed to add radiance to the complexion. I'm really looking forward to trying this combination (along with all of the other skincare I got for Christmas!). Have you tried any of these products? Are you tempted to buy one of the duos? I've had Elemis skincare in the past and absolutely loved it - I had this cleanser, and the apricot toner too (which I adore the smell of, and it feels so nice).